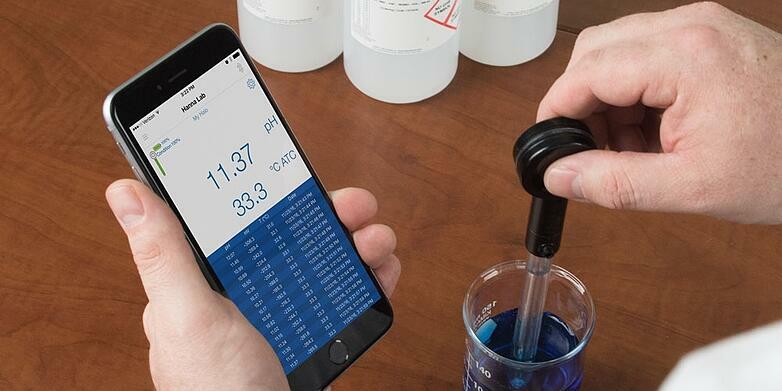 What Type of pH Calibration Solution Should You Use? pH calibration solutions, also called pH buffers, are an essential tool when measuring pH with a pH meter and electrode. While some users will try to make their own solutions to save money, these homemade buffers are not accurate or stable, and in the end they will waste time and interfere with the accuracy of your results. A professionally made pH buffer is much more stable and is resistant to change. Using a high-grade buffer to calibrate your meter before each use is the only tried-and-true way to get the most accurate results every time. 1. Why Do You Need to Calibrate a pH Meter? Frequent calibration is the best habit to keep in pH measurement because calibration keeps your readings accurate and reliable. All electrodes are based off of slope and offset (the Nernst equation). However, all electrodes will change as they age. In reality, the electrode won't behave exactly based on the Nernst equation every time. That's where calibration comes in. Proper calibration will make up for an aging electrode by determining its actual slope and offset when using known buffers, and will update the algorithm in your meter to match. Using pH calibration solutions can also alert you to any damages in the electrode; slope and offset come into play again here. Offset is the electrode's millivolt (mV) reading in pH 7 buffer, and the slope is the mV change per pH unit. If these numbers are off during calibration, that's a strong indication that the probe is damaged, dirty, or too old and needs to be replaced. 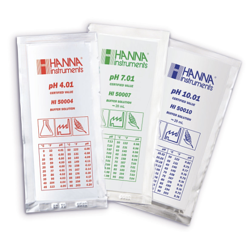 Hanna makes three different types of pH calibration solutions: standard, technical, and millesimal. With so many options available it can get confusing and overwhelming, but we broke it down and made it easy to choose which one is right for you. Standard pH calibration solutions have an accuracy of +/- 0.01 pH at 25°C (77°F) and come in seven different pH values from 1.68 to 10.01. Our most popular and commonly used buffers (4.01, 7.01, and 10.01) are dyed different colors so they can be easily identified when you are busy working. 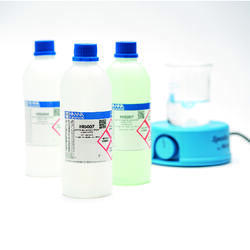 Standard pH calibration solutions are great for use in virtually any application and with most meters. Whether you are measuring the pH of cheese with the HALO wireless pH meter or using a benchtop meter in a laboratory setting, standard pH buffers will likely work for you. Hanna Tip: If you are measuring pH in a sample that is out of the 25°C (77°F) accuracy range, refer to the chart on the side of the packaging for the actual pH range for that temperature. Technical solutions have the same accuracy and follow specifications as standard solutions, and all come with certificates. Technical solutions come in a wider range than basic solutions, which hit nearly every point on the pH scale so that you can bracket your calibrations around any desired measurement. What is bracketing? Also known as a two-point or multi-point calibration, bracketing consists of calibrating to two pH points – one above and one below your desired pH range. For example, if you want to measure the pH of lemon juice, which has a pH around 2, you could use technical buffers 1.00 and 4.01 for a two-point calibration. 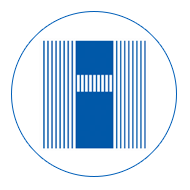 Hanna Tip: For even better accuracy, we recommend performing a third calibration at pH 7.01, since this is how the offset is determined. Calibrating at pH 7.01 helps you determine problems, such as a contaminated or broken probe, and helps avoid any errors in measurement. Millesimal buffers come in a wide variety of pH ranges (more than the standard buffers, but less than technical ones), and they all come with certificates. The thing that makes millesimal solutions unique is their greater accuracy. Unlike standard and technical solutions, which have an accuracy of +/- 0.01, the millesimal solutions are accurate to +/- 0.002. Millesimal calibration solutions are used in places where an accuracy down to three decimal places is crucial, like in science labs, municipal drinking water plants, and medical research facilities. pH meters like our Advanced Laboratory Benchtop pH Meter and High Performing Portable pH Meter must be calibrated with millesimal solutions in order to measure accurately down to their 0.001 pH resolution. 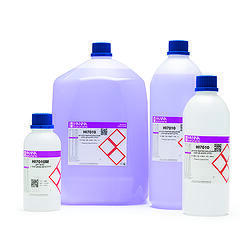 Many of the standard pH buffers come in FDA approved light block bottles to help maintain their pH values. The millesimal solutions also come in blue, opaque bottles which keep out light. Even if you are using a solution with a light blocking bottle, however, there are precautions that everyone should take with their solutions in order to maintain their integrity and ensure accuracy. In order to keep from contaminating your buffer, never submerge your electrode right into the bottle. Pour out just what is needed into a container rinsed with deionized (DI) water, and use that for your calibration. Never pour used buffer back into the bottle! Although we recommend calibrating every day, we understand that it is a time-consuming task and many people are busy. If high accuracy is not important in your measurements it's okay to calibrate once or twice a week. Since the shelf life of a solution is cut short after the bottle is opened, if you are only calibrating once a week a good option for you might be the single-use packets, which ensures you are using a fresh buffer every time. 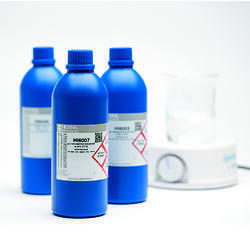 Hanna Tip: Our calibration solutions are designed to have a long shelf life when left unopened. Once opened, a buffer with a pH lower than 7 will last around 3-6 months, while a buffer with a pH over 7 will be good for about 1-3 months.